I’m new to Kendra Morris, but a quick Google search turned up an Amy Winehouse-style of lazy throwback soul that I could definitely get used to. 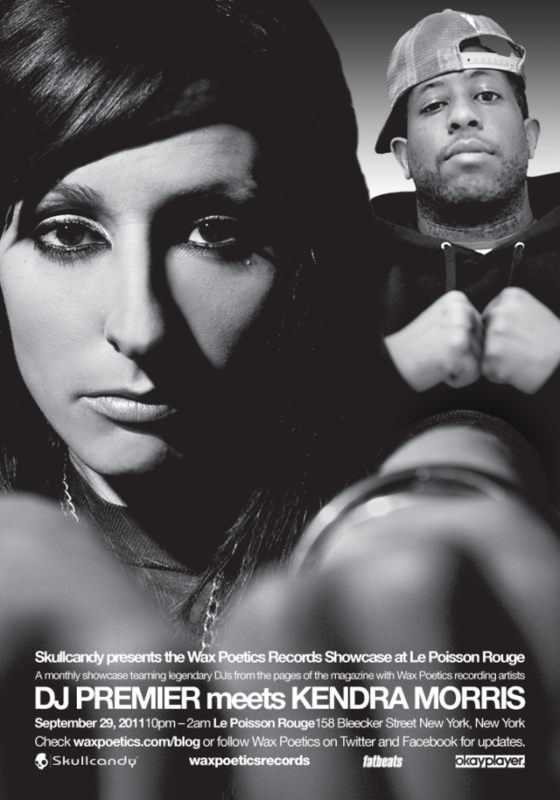 Can’t wait to hear how her vocals will mashup with DJ Premier’s hip-hop aesthetic. Get more info about this (FREE!) show here and get lost in more of Kendra Morris’ music. I guarantee you’ll like it. If you’re in the NYC area, meet me at the show! And speaking of shows… I totally missed a good one! 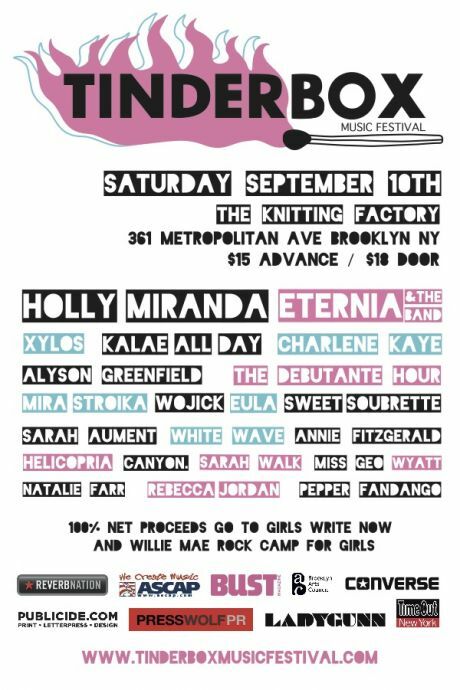 The Tinderbox Music Festival went down on September 10th, and packed a heavy lineup of talented women artists with 100% of the proceeds going to two of my favorite organizations, Girls Write Now and the Willie Mae Rock Camp for Girls. Kalae All Day even made the bill.